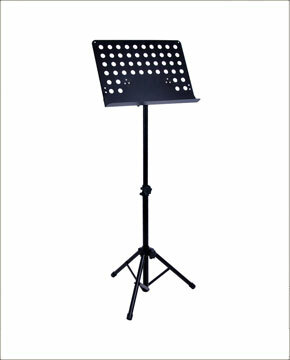 Portable conductor's stand features a tilting steel desk with a return lip. Plastic hub, height and tilt fittings with quick release toggle clamps. Desk is easily removable from the vertical shaft.